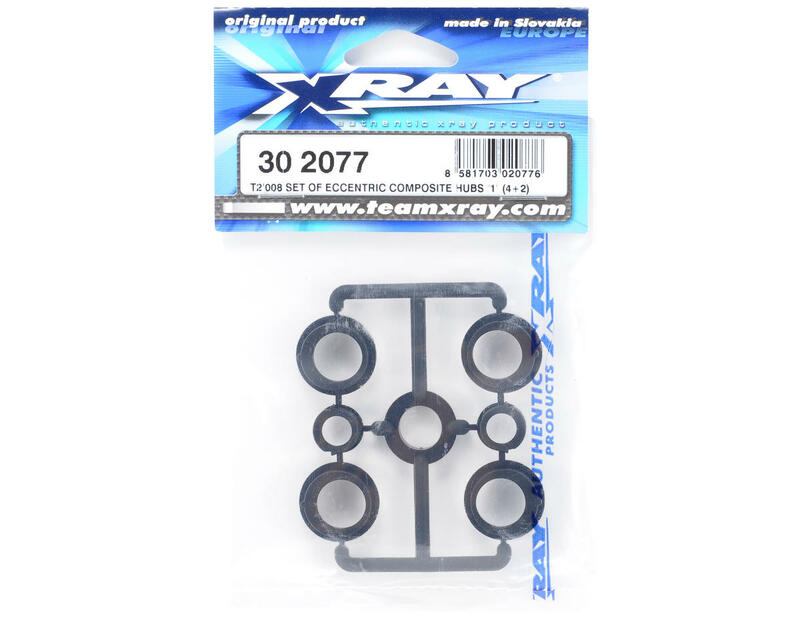 This is a set of optional XRAY +1 Molded Composite Eccentric Hubs, and are intended for use with the XRAY T2 008 EU Rubber-Spec 5-Cell Edition, T2 008 EU Rubber-Spec 6-Cell Edition, T2 008 US Foam-Spec 6-Cell Edition, T2 009 EU Rubber-Spec 6-Cell Edition, T2 009 US Foam-Spec 6-Cell Edition, and T2R PRO chassis. 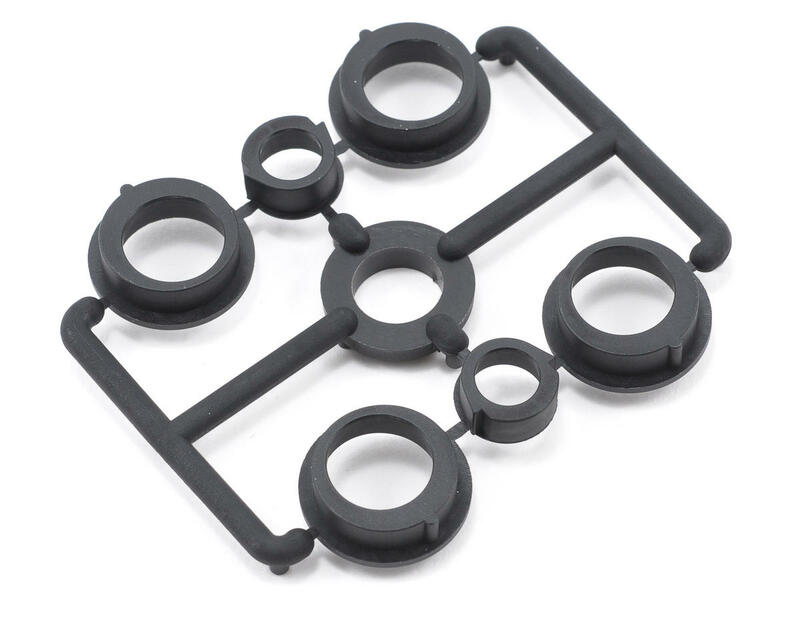 This Set of 1mm-offset molded composite eccentric hubs support the differential ball-bearings (4 hubs), and center layshaft (2 hubs). This set of optional “+1” eccentric composite hubs gives the differential an offset of 1mm from the centerline. When the eccentric hub is in the “upper diff position” the diff is 1mm above the centerline, and when the eccentric hub is in the “lower diff position” the diff is 1mm below the centerline. In comparison, the #302078 eccentric composite hubs included as standard in the T2’007 and T2’008 kits give an offset of 0.5mm.